On the 4th July 2016, I headed down to the fabulous Ham Yard Hotel in London to help Godiva Chocolatier celebrate their 90th Anniversary at a heavenly evening of “Chocolate for all seasons”. It might be July but the PR world is already thinking about Christmas! We had an exclusive Christmas preview, a look at their Autumnal Anniversary truffles and we discovered the Rose and Raspberry tastes of summer. On walking in to the fabulous basement bar, I immediately received a glass of champagne in one hand and a taste of gorgeous 72% cocoa chocolate dipped strawberries from British grower Sean Figgis. 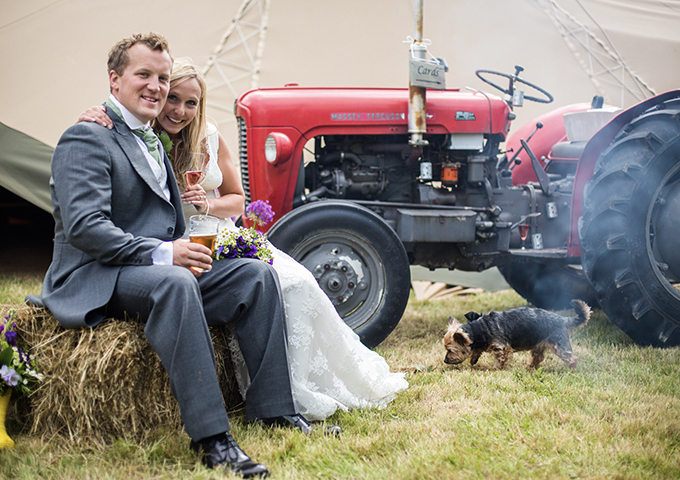 It certainly was a taste of summer with a fabulous party. Honouring nine decades of chocolate mastery, the Belgian chocolatier continues to unveil exquisite anniversary products throughout 2016. 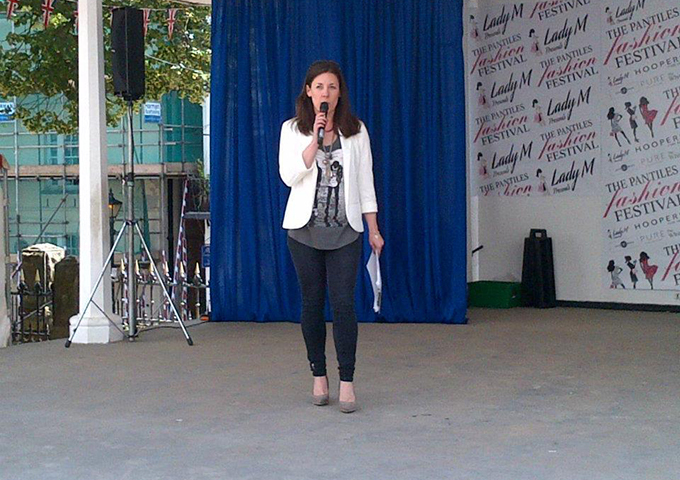 Although it was a fabulous summer’s evening the taste of Christmas was in the air. The festive season will be amazing let me tell you. 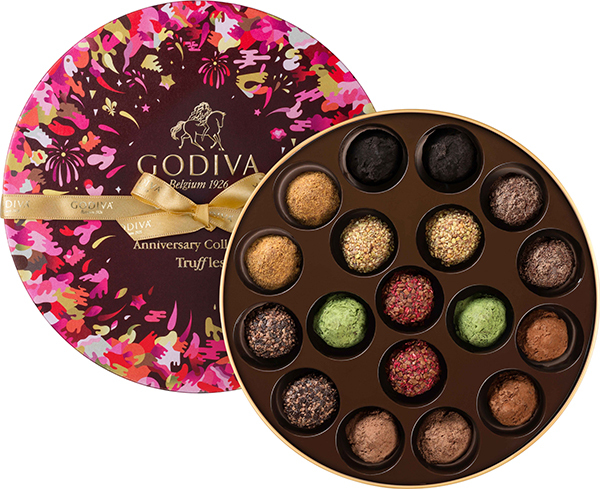 I tried my fair share of the fabulous collection of truffles from Godiva. Along with a preview of the Christmas line-up, they had some delights from their summer collection on offer, Godiva unveiled their 90th anniversary Truffle collection created specially this year. There was an opportunity for everyone to have a go at making rose and raspberry truffles with Godiva’s master chocolatier, Jean Apostolou, which was really fun to watch. He told us the secrets to making great truffles and how he dreamt up the fresh and fragrant Rose & Raspberry flavour profile. Jean describes it as “a wonderfully unique flavour that calls up sweet memories of springtime.” What better way to celebrate a birthday! 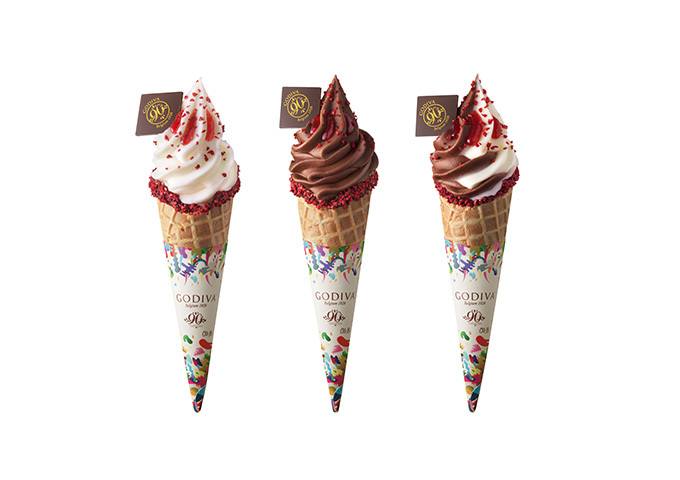 The rose and raspberry flavour also features in the refreshing soft service ice-cream, Rose and Raspberry Chocolixir. 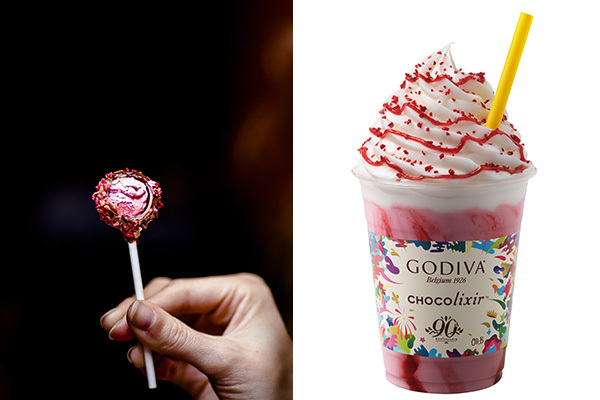 Crafted from creamy white Godiva chocolate, the Rose and Raspberry Chocolixir is crushed with ice, drizzled with an elegant Rose & Raspberry sauce and sprinkled with crispy raspberry pieces. Oh wow… it sounds fantastic! 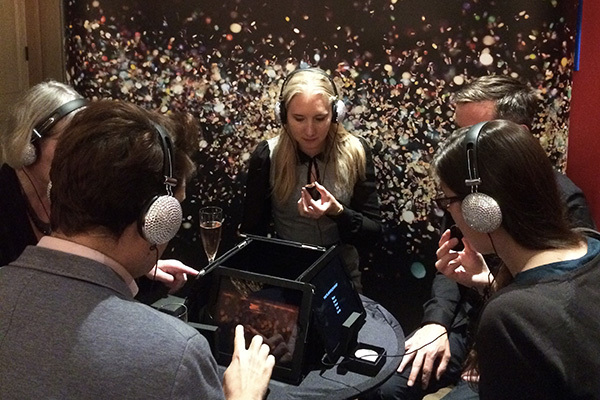 Myself and my fellow guests also enjoyed a multi-sensory chocolate experience, giving us the opportunity to discover chocolate in a totally different way. 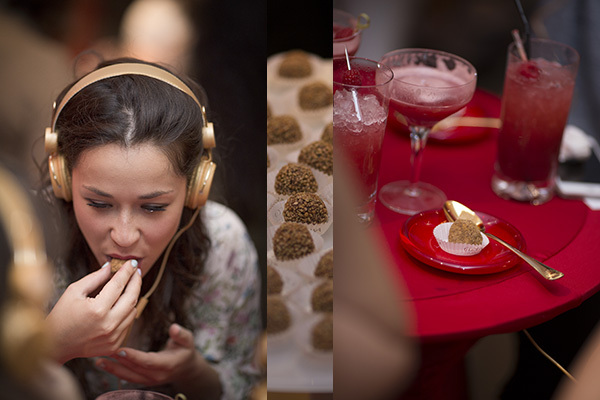 Think headphones, watching images scrolling on a iPad and almond scented rose petals whilst nibbling truffles. I’ll never eat chocolate in the same way! The Perle Noire truffle was an immense experience. 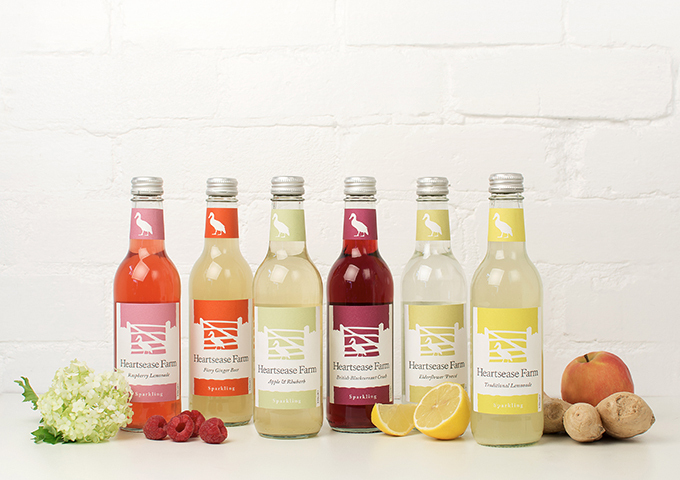 We were taking on a flavour journey. From Peru with fragrant, deep, dark chocolate to sweet Tahitian vanilla. There were floral, sour, earthy highlight flavours to a complex taste sensation. The pistachio truffle, the Pistache Croquante was immense. A contemporary sensory experience. The lightest of mousses contrasted with the crunch of pistachio nuts. The Almond blossom scented rose petals are of a similar note to the nose of a pistachio and by smelling the scent we were enhancing the all round experience of the soft flavour. The favourite for me was the Speculoos Belgian biscuit based truffle. By listening to apt music and wafting a coffee soaked sugar cubes with our eyes shut, it was an amazing Christmassy sensation. I was lucky enough to be sent a box of nine specially chosen Godiva 90th Anniversary Collection Truffles. 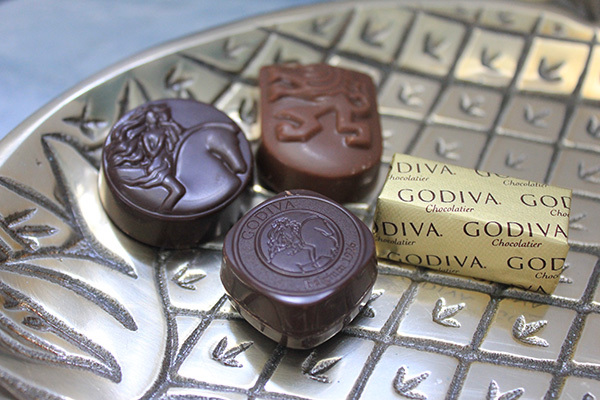 They celebrate the Godiva story, which began in 1926, when the inspirational Belgian chocolatier Pierre Draps created his very first pralines. 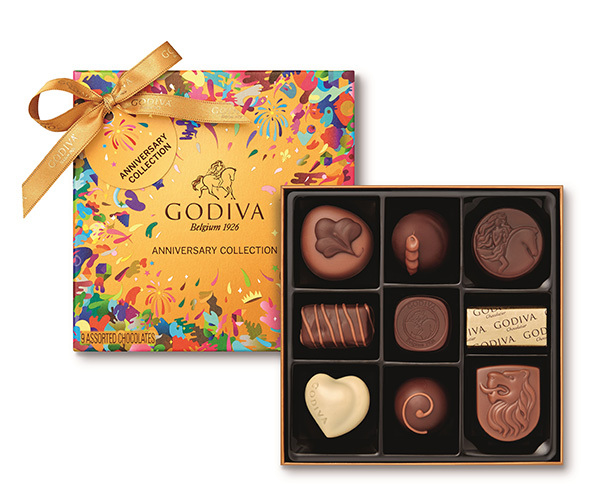 Each creation in the 90th Anniversary Collection is a precious taste of history across the years that Godiva have been delighting us with chocolate. They didn’t last long in our house, let me tell you. But they are such a strong flavour profile that you savour each one and can’t eat more than two at a time.. well maybe just a third might slip out of the box! Godiva 90th Anniversary Collection Truffles are available in Godiva stores and at you can buy them and see the entire collection online at www.godivachocolates.co.uk Go on treat yourself! 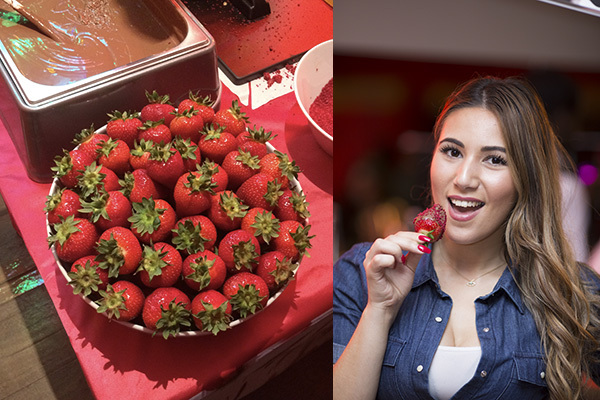 Check out Godiva UK on Twitter and Instagram; they have some amazing flavour combinations and something to tempt even the modest of chocoholics.